Liv Birgit Christensen is a professional Norwegian genealogist working internationally as a speaker on family history and how to research in Norway. Bygdebøker, called Farm books in the US! Do you want to learn more about Norwegian genealogy? 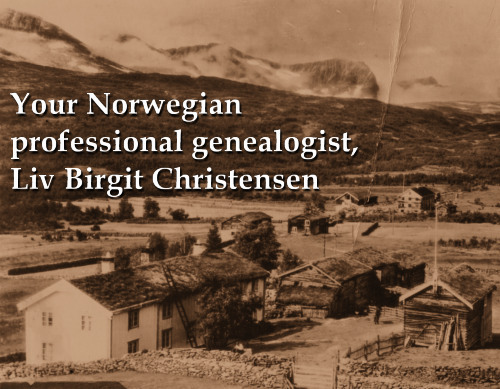 Liv Birgit Christensen is a professional genealogist with over 20 years experience researching in her homeland, Norway, and helping individuals and families find their Norwegian ancestors. She presents a variety of online and in-person presentations and workshops around the world on Norwegian family history research and history in English and Norwegian. For more information, see her About and contact her to hire her for professional genealogy research in Norway or to bring her to your family history group or society. According to US censuses there are more than 4.5 million Norwegian Americans and they mostly live in the Upper Midwest. That is close to the number of inhabitants in Norway, which is 5.3 million in 2018. Many Norwegian-American families have a tradition of eating lefse at Christmas. Lefse looks like a soft tortilla. It is made of mashed potatoes, mixed with fat and flour. It is usually spread with butter and sprinkled with sugar. It is an important part of the Norwegian heritage.